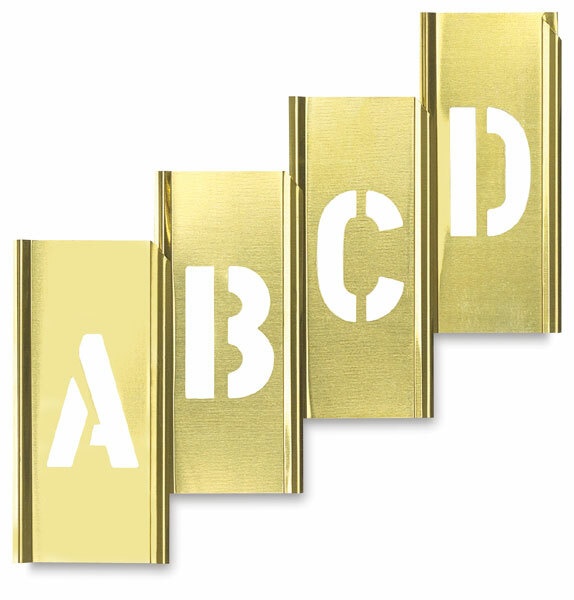 Durable brass for long-lasting service Clean up easily with paint solvent quick, legible signs on all surfaces. Flat flexible sheet brass stencils. They fit together in a jiffy, slip apart easily when finished. Can conform to slight curves when assembled. Easy to read, Gothic style letters designed for horizontal assembly. Use brush or spray ink, paint or use markers. plus-1-Beginner, 1-Plain Ender, 1-Period Ender, 2- Spacers, 1-Comma, 1-Dash.